Calderdale residents could save hundreds of pounds on their energy bills, by switching to a new gas and electricity tariff that’s one of the lowest on the market. But you need to act quickly – the ‘Spring into Action’ special offer from White Rose Energy is only available until Wednesday 17 April 2019 for people living in Calderdale, Bradford and Leeds. 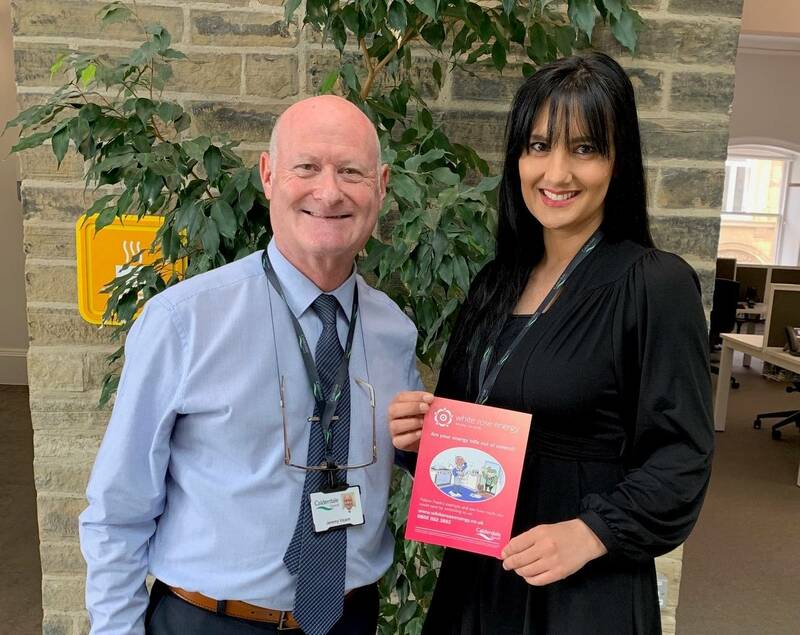 Calderdale Council is encouraging people to sign up as part of its work with White Rose Energy – a not-for-profit energy supply partnership between Leeds City Council and Robin Hood Energy for homes across Yorkshire. Working together, the Council and White Rose Energy can offer better value energy tariffs for all local households, which particularly benefits people who are vulnerable or on low incomes. The Spring into Action tariff is a 12-month fixed tariff, available for electricity and gas for both new and existing customers across Calderdale. Act quickly to get cheaper electricity and gas while you still can – get a quote by visiting White Rose Energy’s website: https://join.whiteroseenergy.co.uk/quote(external link) or by calling them on 0800 022 3553. For information on affordable warmth schemes in Calderdale, please visit www.calderdale.gov.uk/warmhomes or call Jeremy Vicars or Sarah Buczynski on 01422 392199.